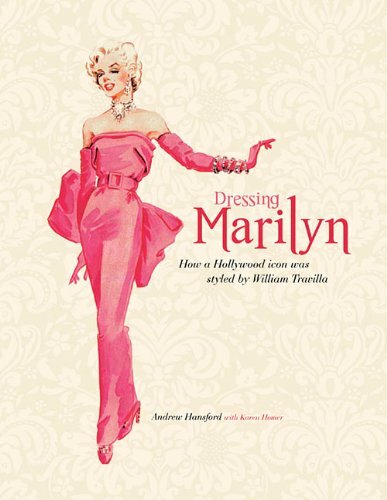 Already called out for being “Gift-Worthy” by the Huffington Post and the Associated Press, today’s review is just a teaser for Hollywood Costume (Abrams) edited by Deborah Nadoolman Landis. Hollywood Costume is the lavishly illustrated coffee-table book and exhibition catalog from the Victoria & Albert exhibition of the same name. It frequently juxtaposes film stills with the physical costumes. 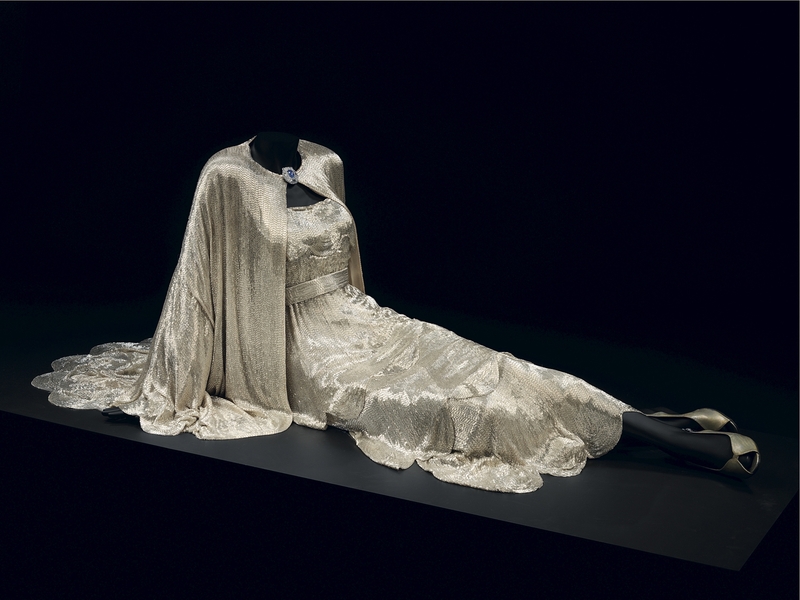 The above costume was designed by Travis Banton for Claudette Colbert in Cleopatra, 1934. 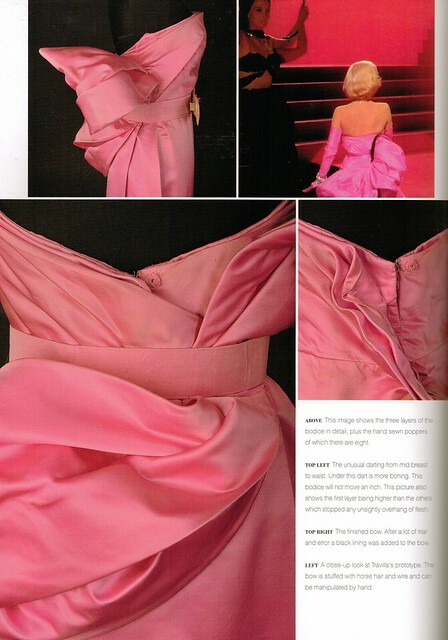 The image below shows Colbert wearing the dress (and showing off much cleavage) For more on the costumes in this film, see my article at Worn Through from 2010. 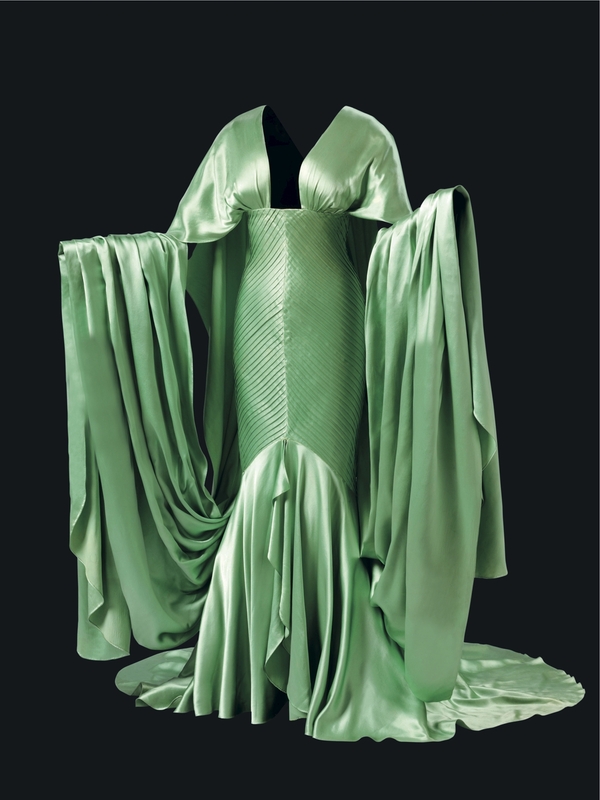 Another spectacular costume featured in Hollywood Costume (along with installation shots and an essay by Sam Gatley on dressing the mannequin) is this costume for Irene Bullock (Carole Lombard) in My Man Godfrey, 1936 by Travis Banton (Page 214-5, Gown and duster jacket designed by Travis Banton. 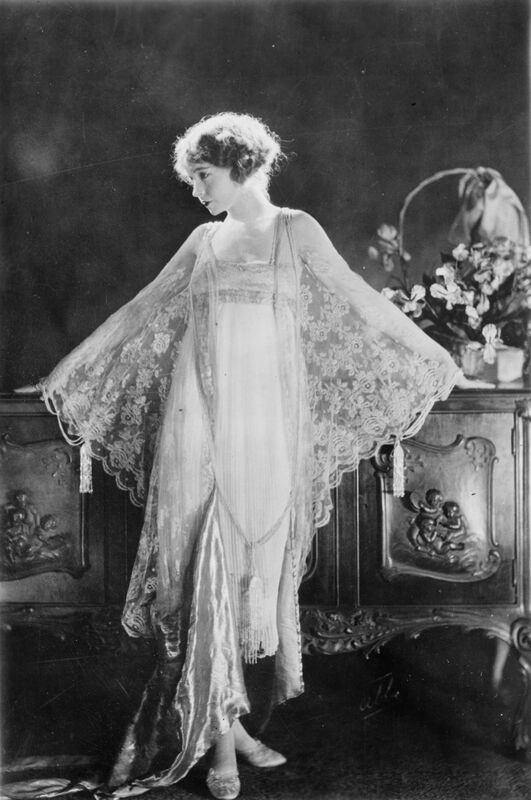 The Collection of Motion Picture Costume Design Larry McQueen. Credit: Victoria and Albert Museum). 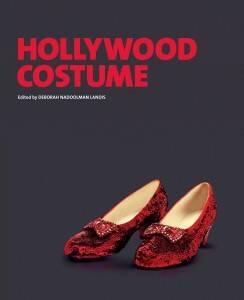 For more wonderful insights, be sure to check out the book, Hollywood Costume (Abrams) edited by Deborah Nadoolman Landis.